• Heavy Duty Gate Hook With Galvanized Metal Spine For Demanding Conditions. 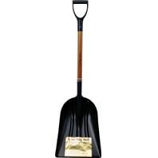 Hi-tech infused poly blade with anti-freeze for extremely cold durability. Tougher abrasive resin in blade. Reinforced handle socket. Extra uv inhibitors for ourtdoor use. .
Hi-tech infused poly blade with anti-freeze for extremely cold durability. Tougher abrasive resin in blade. Extra uv inhibitors for ourtdoor use. Reinforced handle socket. .
Made of hi tech euro flex spring steel. Titanium carbide alloy. 8 times more abrasive wear than other forks. No spin handle socket. 40% easier piercing of manure and silage. 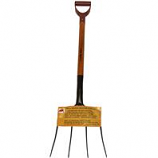 • Super Durable, Light Weight Aluminum Alloy Scoop Shovel. • Five Times Stronger and More Flexible and Wear Resistant Than Other Brands. • Indestructable Poly D-Grip Handle With Car-Bumper Strength. • 48. 5 Inch Long X 15 Inch Wide. 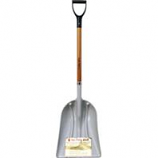 • Super Durable, Light Weight Aluminum Alloy Scoop Shovel With Stainless Steel Wear Strip. 8 Times More Edge Wear.